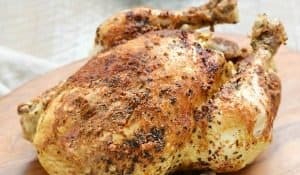 When I was making my Instant Pot Chicken Taco Bowls a couple of weeks ago it dawned on me how nice it would have been to have pre-made Taco Seasoning on hand! I always have my Southwest Seasoning in a jar ready to go, but I never got around to creating an actual Taco Seasoning for spur of the moment taco cravings….. 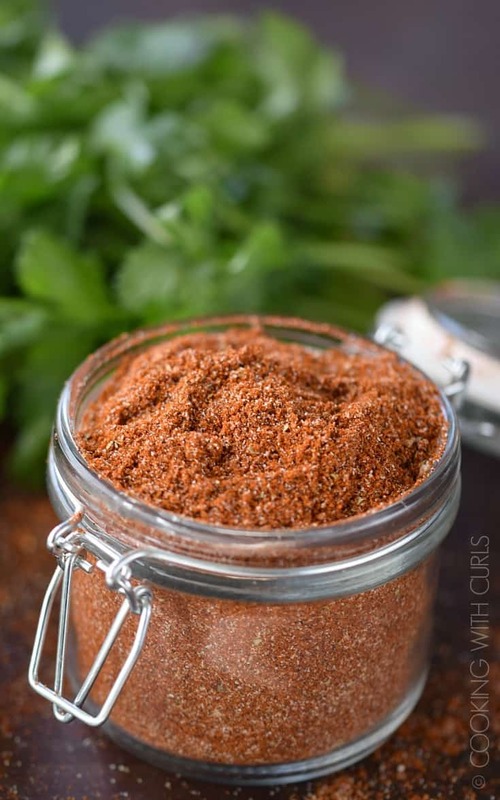 This homemade Taco Seasoning mix is gluten-free, msg free, preservative free, and can even be organic if you use organic spices!! Salt is not the second ingredient. 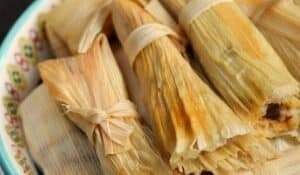 There is no need for vegetable oil or sugar to be added, and you will not be adding Maltodextrin, corn starch, silicon dioxide, or natural flavors (code for MSG). 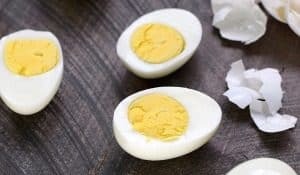 It is insanely easy to make!! Thoroughly mix all of the ingredients together in a small bowl. Pour into a jar or canister that seals and store in a cool, dark place until ready to use. 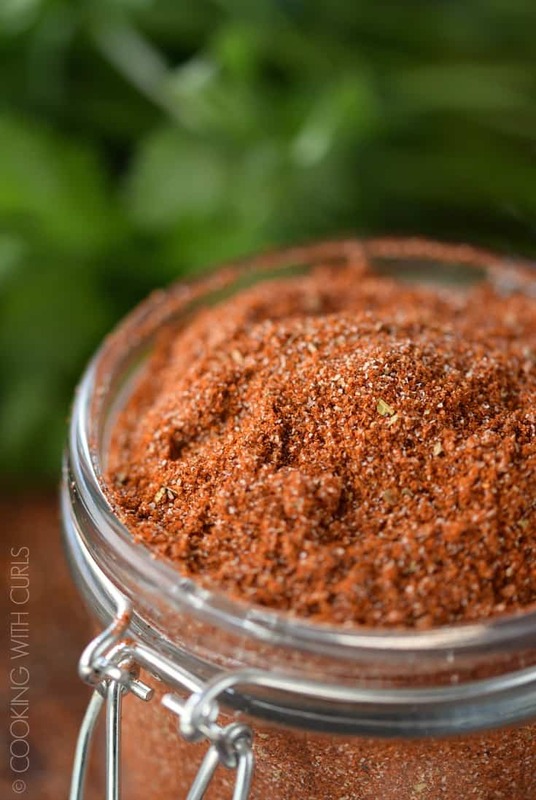 With this large batch Taco Seasoning in your pantry, you will never need to run to the store for those little packets again! If you use a larger jar, or a mason jar, you can shake your Taco Seasoning together in the jar. Mine was packed too tight for shaking! This Taco Seasoning is average heat, what I would call Mild. For added heat, add 2 teaspoons of red chili flakes or use a spicier chili powder. 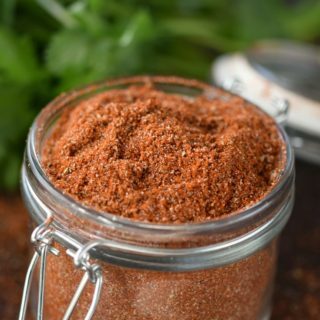 For a smokier Taco Seasoning, substitute chipotle chili powder for some or all of the chili powder. If you hate cumin, leave it out. If you are avoiding salt, yes I actually added salt this time, leave it out if you like…I won’t tell. The sodium count for a 2 teaspoon size serving of a packaged seasoning is 300 mg. My version is 146 mg! How many Tablespoons are in a package of Taco Seasoning? A typical package contains 1 ounce/ 2 Tablespoons of seasoning mix. Simply substitute 2 Tablespoons of this Taco Seasoning in any recipe calling for one package of seasoning. Substitute 2 Tablespoons of seasoning for the spices included in the recipe. Brown 1 pound of ground beef. Stir in 2 Tablespoons of Taco Seasoning and 2/3 cup water. Bring to a boil. Reduce heat and simmer, uncovered, for 3 to 4 minutes stirring often. 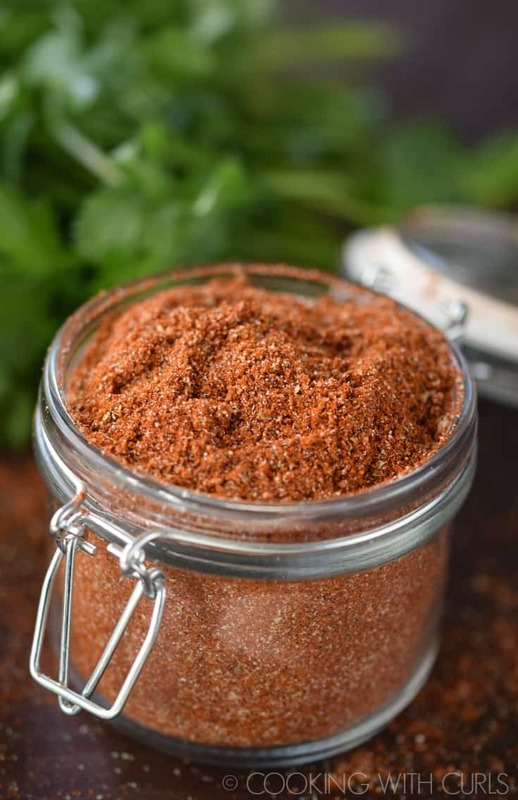 With this large batch Taco Seasoning mix in your pantry, you will never need to run to the store for those little chemical-filled packets! A package of Taco Seasoning is equivalent to 1 ounce/2 Tablespoons. The serving size for a 1 oz package is 6 servings. This Taco Seasoning is 8 Tablespoons/1 cup total which I guesstimate to be 48 total servings.